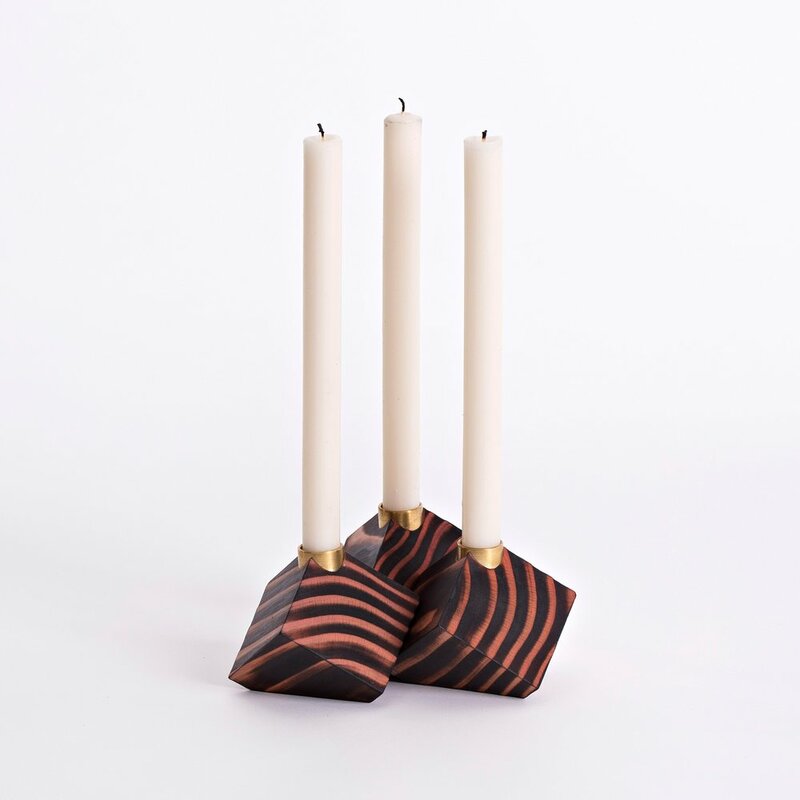 The simple cube is the starting point for these dynamic candle holders. By rotating, drilling and slicing the cubes we create playful shapes and combinations that relate to each other. The candle cubes are handmade from wild Irish redwood. The redwood is scorched to highlight the beauty between the summer and winter grain. Solid brass is used to hold the candle. Finished with a natural, hand rubbed oil. Price: €35 each, €95 for set of 3. © Colin Harris 2019. All Rights Reserved.